These earrings are handmade by me with hard temper wire to ensure they retain their shape. Polished and rounded earring ends prevent irritation when worn. Simple well made quality earrings that will last you for many years. These earrings do not contain nickel. 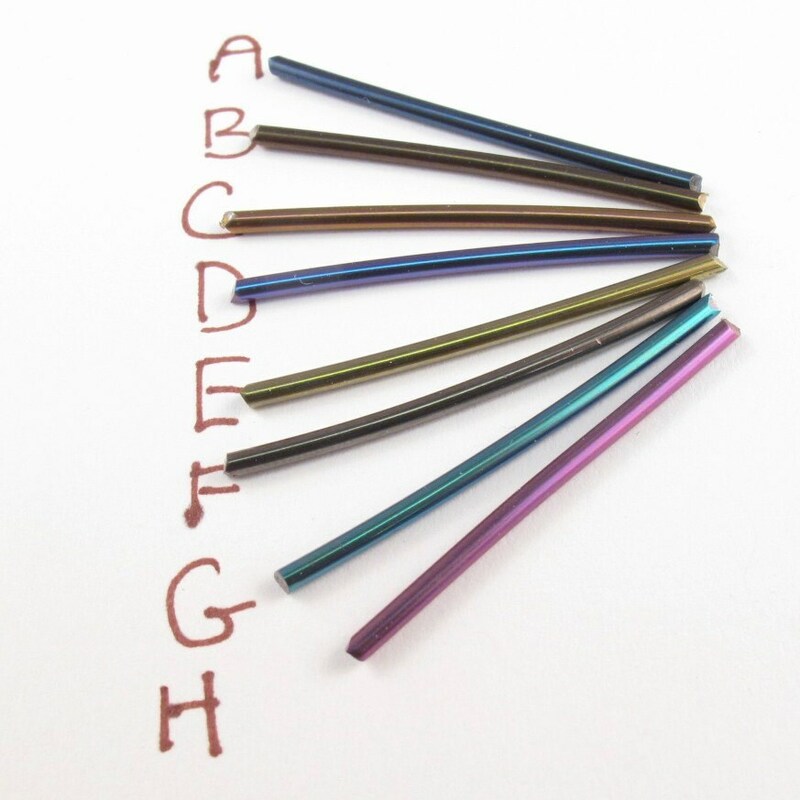 Niobium is a great alternative for people with metal allergies. 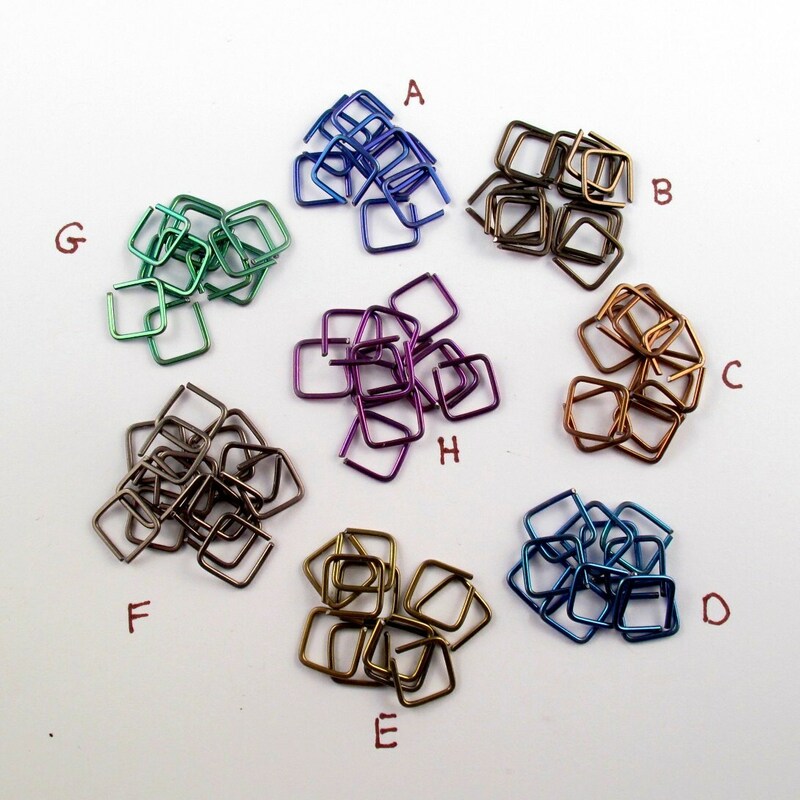 Most people with metal reactions can wear niobium or titanium. 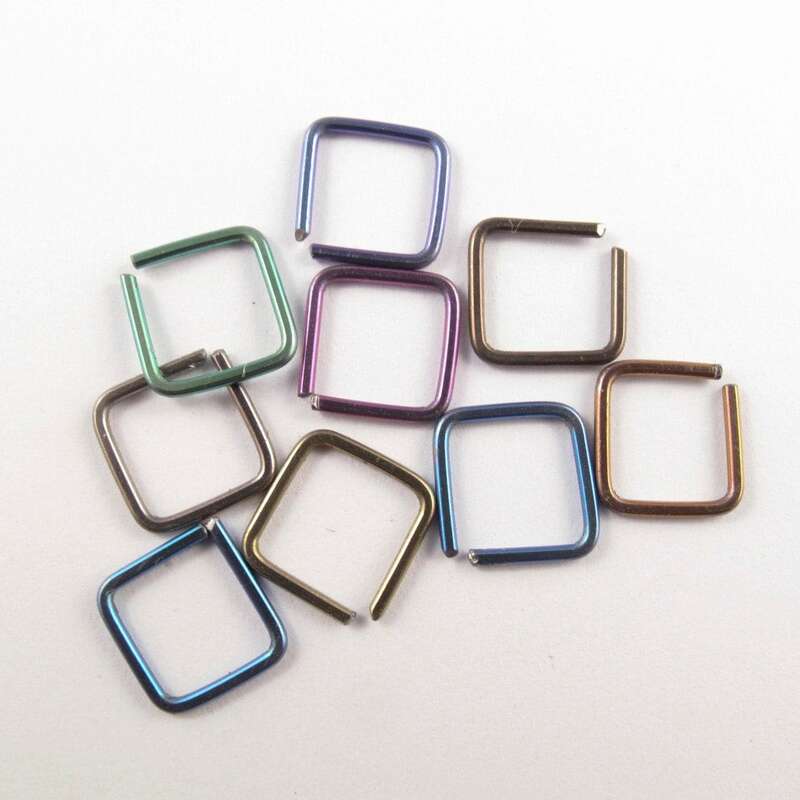 Wear my square earrings in any piercing that needs a small ring. 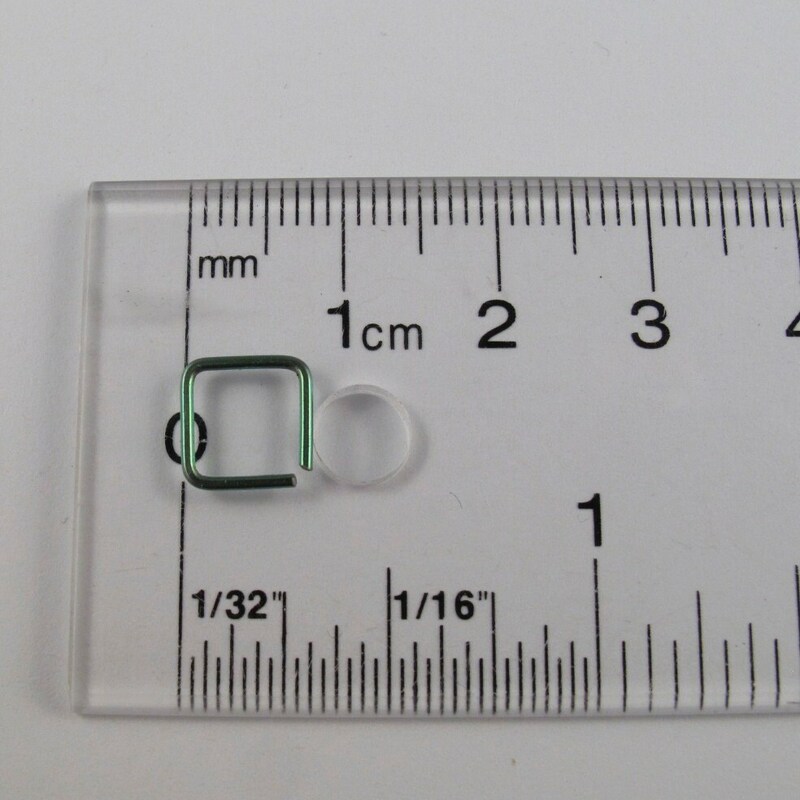 Open the square to the side and bend the end back into place.